eCommerce Email Templates – Responsive layout. 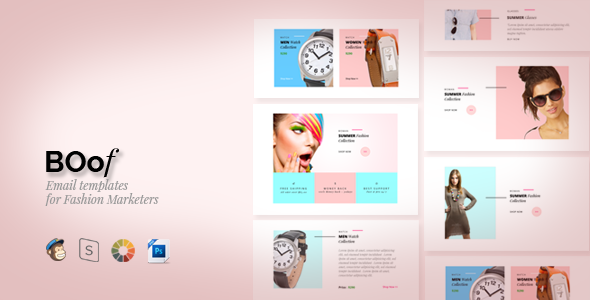 Boof – Fashion Email templates is responsive email templates for creative fashion marketers. this email tempaltes are compatible with Mailchimp, Stampready, and Campaignmonitor. PSD file are include on this item.